This small 30″ circular Texaco sign has two circles in the center. 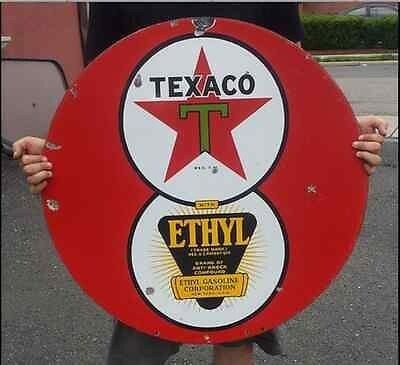 Each circle has a logo: one is the Texaco logo and the other is the Ethyl logo. There is red, white, green, and yellow coloring on this porcelain sign.